1st T20I India vs New Zealand: Krunal Pandya got India its first breakthrough after the Kiwis got off to a belligerent start. 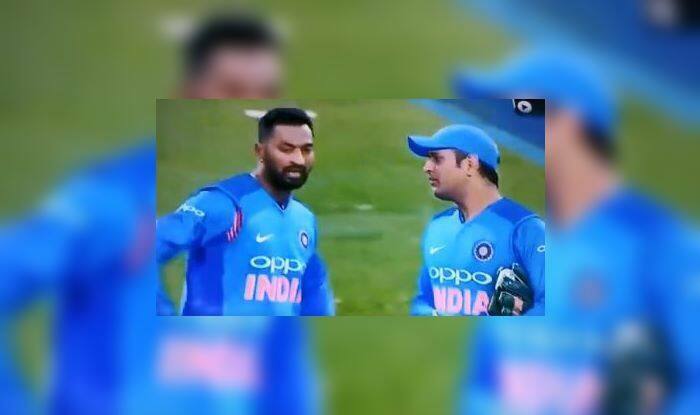 1st T20I India vs New Zealand: Krunal Pandya got India its first breakthrough after the Kiwis got off to a belligerent start. The Kiwis lost their first wicket with the score on 86, but it was mastermind MS Dhoni whose on-field advice helped Krunal get rid off Munro. It was Vijay Shankar who took the catch in the boundary rope. Shankar balanced himself well and kept a good distance from the ropes to complete the catch cleanly. It was a massive wicket in the context of the game as the openers were taking it away from the Men in Blue. Munro’s cameo was laced with two sixes and fours. Meanwhile, India lost the match by 80 runs, which is their biggest defeat in T20Is in terms of runs. The Kiwis with the win has taken a 1-0 lead in the ongoing three-match series. Seifert and the bowlers were responsible as they powered hosts to an emphatic win. In 16 prior losses while chasing in T20Is, India’s biggest margin of defeat was 49 runs. That worsened to 80 as they were outplayed by a clinical Kiwi outfit at Wellington.